Five Culver Lady Dawg volleyball players earn all-league honors in the 2018 season. Five Culver volleyball players earned all-league honors, with two players named to the first team for the 2018 season. The Lady Dawgs finished the season with a 22-5 regular season record, with 14-2 in league play. They were second in the 2A-2 Tri-River Conference behind Kennedy. There were nine teams in the 2A 2 Tri-River Conference: Kennedy, Sheridan, Santiam, Delphian, Gervais, Colton, Chemawa, Western Christian and Culver. Irma Retano and Madison Miller both earned first-team honors for the Lady Dawgs. Miller ended the season with 158 kills, 31 digs, 34 aces, a 2.00 serve receive average and 19 blocks for the Lady Dawgs. The senior played middle blocker for Culver. "Madison was a go-to player all year-round, and was tough for other teams to stop when she got ahold of a good ball," head Culver volleyball head coach Gabrielle Alley said. "She also was a force at the net, and led the team in blocks. I think Madison's biggest asset was her work ethic and competitive nature during practice, which helped her excel and stand out during games. I am sure the other teams in our league are glad Madison is graduating and not coming back next season." 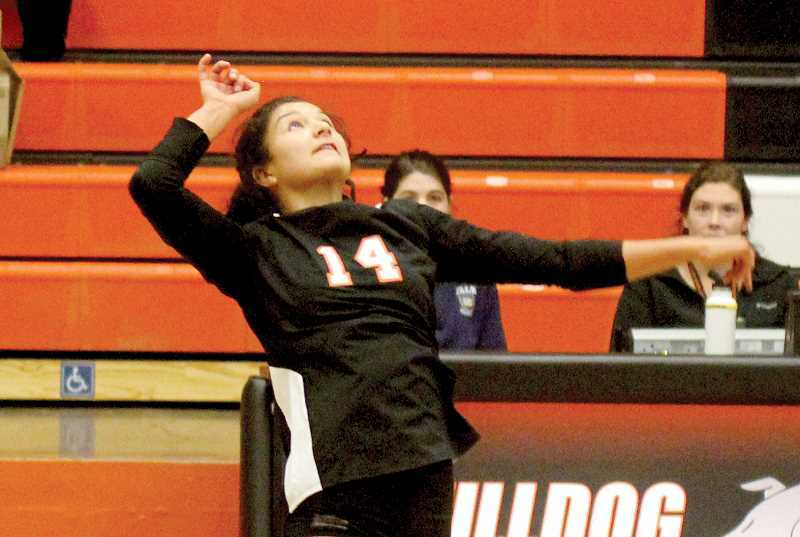 Retano, another senior, and outside hitter for the Lady Dawgs, led the team in kills with 173. She also had 122 digs, 34 aces, a 2.12 serve receive average, and three blocks. "Irma received the second most votes in our league, and at least one coach's vote for player of the year," Alley said. "It is clear that other coaches in our league recognized that her level of play deserved first-team all-league recognition, especially because Irma was our floor captain all season, and was a go-to six rotation player that led the team in kills." Rosi Olivera earned third-team honors as the setter for the Lady Dawgs. The senior ended the year with 19 kills, 70 digs, 51 aces, a 1.95 serve receive average and two blocks. She also led the team in assists with 470. "Despite never setting before her senior season, Rosi quickly became our main setter," said Alley. "Taking on a new position is never easy, but Rosi gladly accepted the challenge. With the help of her teammates, Rosi averaged nearly 10 assists per set (league games). Throughout the season, I was continually impressed by Rosi's work ethic and leadership, both important characteristics for a 5-1 setter." Junior libero Bridget Lopez earned second-team honors and led the team in digs with 219. Lopez also ended the season with 20 aces and a 2.12 serve receive average. 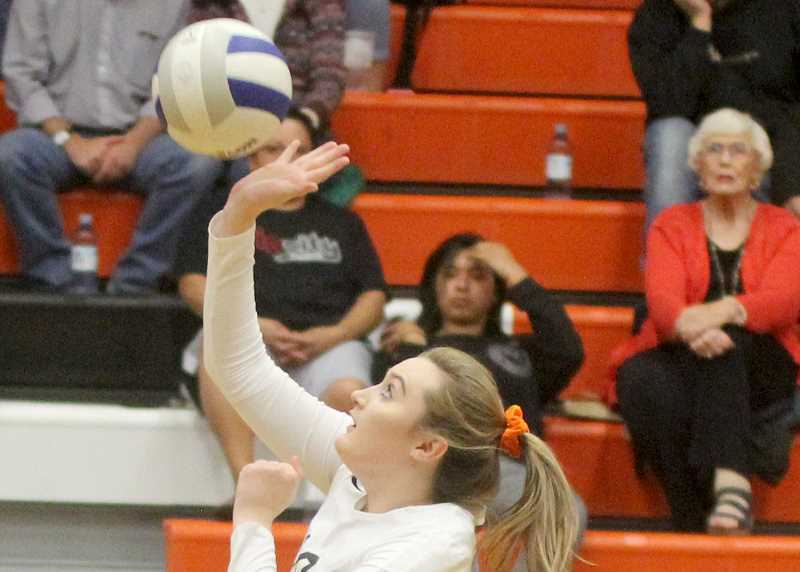 "Defensive specialists and liberos tend to get overlooked when it comes to all-league voting, so I was glad to see that Bridget received some well-deserved recognition for her role in the back row. She was one of our main serve receive passers, and almost always led the team in digs." Sophomore standout, Claire Bender earned third-team honors as well. Bender had led the team in aces with 52. She also had 61 kills, 67 digs, a 2.18 serve receive average, and two blocks..
"As a coach, I am obviously a little biased towards my own players and thought that a few of our athletes deserved higher recognition. Claire was certainly one of those players. Despite being a sophomore, Claire is such an asset to our program and I though the role she played on our team all year long showed that. Statistically, Claire ended the regular season with the highest serve receive score and the most aces." "Claire and Bridget were the only nonseniors to receive an all-league award," she said. "With losing so many seniors, I am really excited to get these two players back next year and see how their play will continue to improve and help our program in the future."